What was your vision for developing the 2018 Rebel? Originally the Rebel was a safer, more performance-oriented alternative to the bow kite, and corrected the design flaws in the bow kite concept. For example, it had far more stability than alternative models with precise steering – especially when over-powered – better safety and easier relaunch especially in light wind. The Rebel and its loaded 5th line has served us well for eleven years. However, ‘state-of-the-art’ has matured and bridled kite designs are now safer, more stable and more capable than they were eleven years ago. This has led us to work on designing a Rebel that works on either four or five lines. We’ve made experiments in this direction in the past but have never been happy with the results. However, this year’s early prototypes were more promising. Our vision was to keep the stability, reliability, predictability, wind range and superb jump ability of the 2017 Rebel, whilst improving its turning and permitting it to fly on either 4 or 5 lines. What was the R&D process for the 2018 Rebel and who did you call upon ? The process was standard. Design two or three protos – sometimes in different sizes, sometimes in the same sizes. Test. Observe. Decide what changes might improve performance. Repeat. Sky, Patri and I did most of the testing. But we also worked with various other skilled and less skilled riders. What design updates and differences will we see in the new 2018 Rebel? We kept a lot of the basic design elements from the 2017 Rebel. The segment count and spacing are the same, profiles are similar, LE diameters are similar and aspect ratios still change with size ranges. Some differences are evident from visual inspection. Other differences, such as smoother, quicker, rounder turning of the new Rebel is evident from the feel of the kite in the sky. What new settings are available on the 2018 Rebel and what recommendations do you have for them? There is the usual Adaptive Tip adjustment for the back line. Riders who like a little more bar pressure and a more solid feedback from the kite will want to use the ‘Hard’ setting. Others can leave it on the default factory setting. The new adjustment gives the option to use a 4 line bar. This means using the upper knots on the two-knot front pigtails. 5 line riders will want to use the lower pigtail knots together with the lightly loaded nose line. Which line lengths do you use across the different kite sizes? Since the Rebel excels at jumping and all-round twin tip riding, we tend to use 22 and 24m lines. Longer lines work if you want more power in the bigger sizes, whilst shorter lines deliver quick turning. 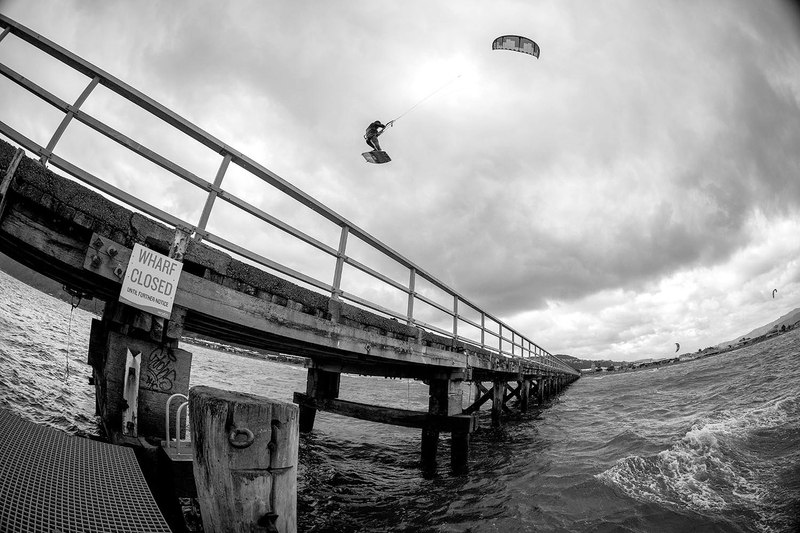 The Rebel, with its high stability and extremely low flutter, is also quite a good kite for hydrofoil riding in powered conditions. Foilers might want to go with short lines for optimised speed and manoeuvrability, or longer lines for easier tacking. 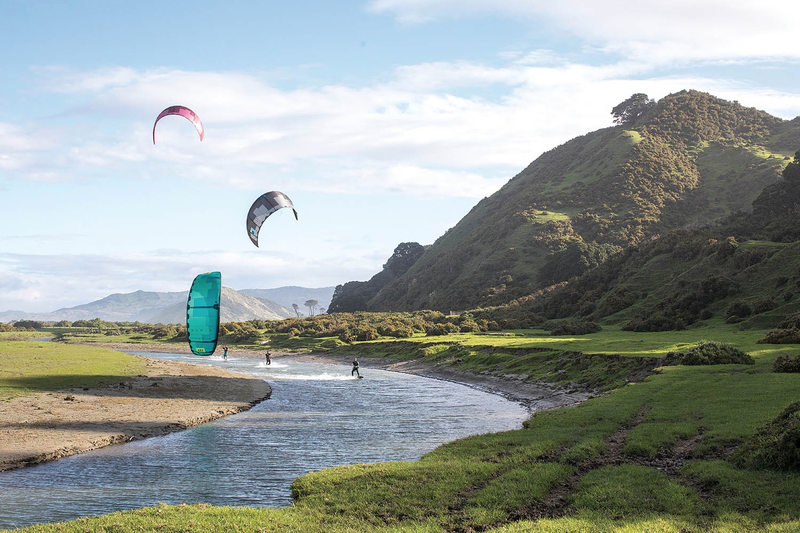 The 2018 Rebel is still good for the rider that wants a powerful, stable, predictable kite with great jumping abilities. But this year the added bonus is that it now works for all riders, no matter how many lines are on the bar.